The perfect compliment to the non-meat world of flavor. 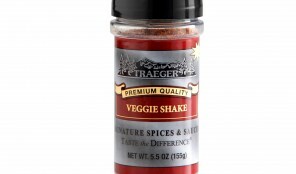 Our special blend of herbs and spices will have the meat eaters in your family leaning vegetarian! Note: This product is gluten free. 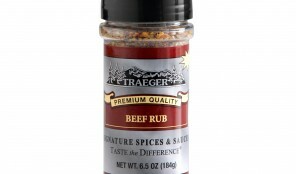 Sweetness with a hint of apple and cinnamon provide a wonderful flavor enhancer for beef, pork or chicken. 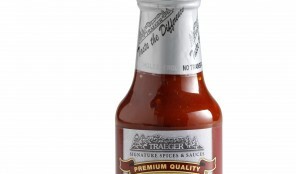 Try it on steaks and you’ll be hooked for sure! Note: This product is gluten free. 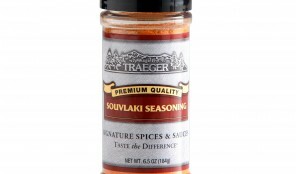 Inspired by the Mediterranean, this Greek blend of spices is excellent on lamb, vegetables and chicken. 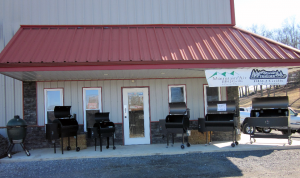 It’s fast becoming a favorite among Traeger owners. Note: This product contains gluten. 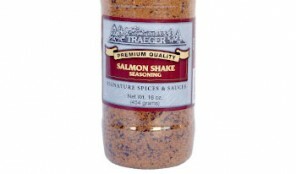 Not just for salmon any more! Try it on fish, meat and vegetables. Superb on baked potatoes! You’ll be reaching for this one all the time. Delicious! Note: This product is gluten free. 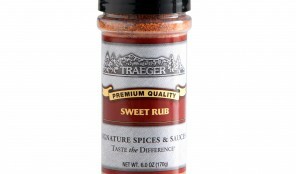 One of our all-time best selling rubs! 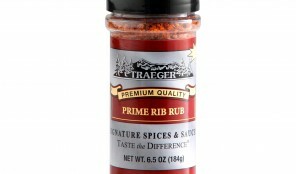 Your family and friends will rave over how this mouth-watering tasty seasoning elevates prime rib to a whole new dimension of flavor. Note: This product is gluten free. 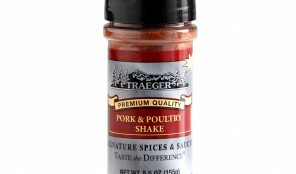 A special blend of assorted flavorful herbs enhance the natural flavor of pork, chicken and turkey. 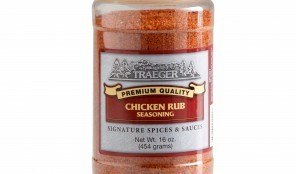 This is also a great all-purpose rub that you can use on just about any type of meat. Note: This product is gluten free. 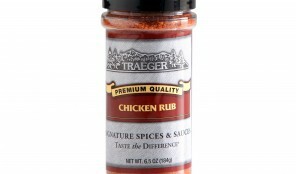 Especially formulated for poultry, there is no better way to produce the most flavorful, succulent chicken you’ve ever tasted. 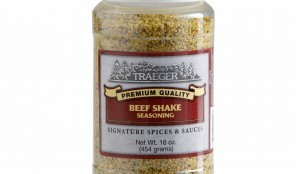 This is also a tremendous all-purpose seasoning on beef and pork. Note: This product is gluten free. It’s sassy, without being belligerent. 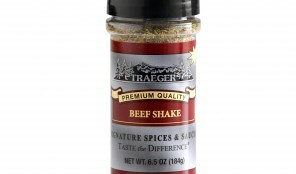 Inspired by the famous cuisine of Louisiana, you’ll love how this shake livens up seafood, fish and beef. 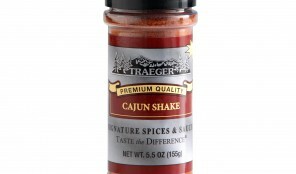 One taste of this shake, you’ll agree it’s “Lagniappe!” Note: This product is gluten free. 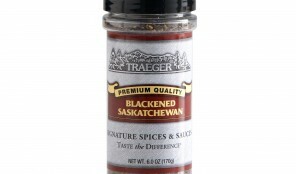 From Maple Leaf country comes a savory blend of spices that liven up beef, game and poultry. You don’t have to be Canadian to love this one! Note: This product is gluten free. No matter what part of the cow you choose, our original shake has just the right blend of peppers, spices and herbs to keep you coming back for more. 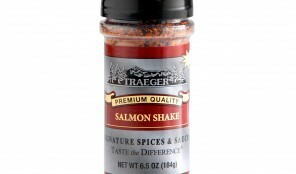 Outstanding when used with steaks, burgers and roasts! Note: This product is gluten free. No matter what part of the cow you choose, our original rub has just the right blend of peppers, spices and herbs to keep you coming back for more. 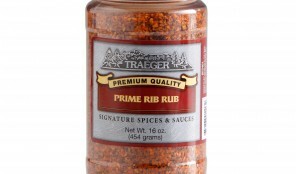 Outstanding when used with steaks, burgers and roasts! Note: This product is gluten free. Granular magic performs wonders on poultry and pork. 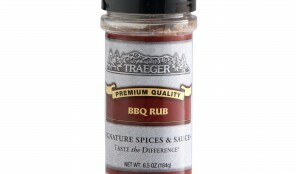 You’ll find using just a little bit of this rub is all you’ll need to produce grand slam flavor on your Traeger cooked meats. Note: This product is gluten free.